The program for our 2018 Annual Conference: Smooth Sailing through Rough Waters on May 7 is almost finalized. We currently have over a dozen talented and inspiring speakers scheduled from public, academic, and provincial libraries and community organizations. You can visit our conference webpage for more details. Have you registered yet? Online registration is open, plus we have a conference bursary available to assist you with attending this year’s conference. The 2018 Annual NLLA Conference will take place on Monday, May 7. This year, our theme is Smooth Sailing through Rough Waters. The tough economic times happening in our province have hit libraries hard. Our budgets have been slashed, our workforces reduced, and libraries are doing even more with less than ever before. 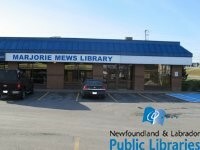 However, despite such uncertainty, libraries are thriving because of the commitment and dedication of library workers in Newfoundland and Labrador. We continually strive to ensure that our communities have access to information, technology, and resources for learning, and to build and share collections that support and preserve the history and culture of Newfoundland and Labrador. Our theme for this year’s conference is Smooth Sailing through Rough Waters. This theme acknowledges the difficult times for libraries in our province, and points toward how we come together to recognize the needs of library workers as well as the community members who patronize our unique workplaces. How is your library navigating these rough waters? How are you collaborating with colleagues, asking new questions, or developing new solutions to continue serving the needs of library users in our province? How are libraries managing stress in the workplace, and how are we caring for our users and each other in this time of economic turmoil? Whether you are in a public, academic, school, or special library, our theme relates to the work that you do. What does Smooth Sailing through Rough Waters mean to you? Full presentation: 40-minute sessions, composed of a 30-minute presentation and 10-minute question period. May be either be practice-based or research-based. Lightning talks: 7-minute timed presentations, designed to give attendees a brief glimpse into an idea, project, program or activity. An indication of the presentation type (full presentation or lightning talk). The presentation title plus a brief abstract (max. 250 words for a full presentation; max. 100 words for a lightning talk) describing your topic and the goals of your presentation. Your contact details (name, library, position, telephone number and email address) for each speaker. A brief (max 50 word) biography for each speaker. For questions or comments, please contact Emily Blackmore (eblackmore@nlpl.ca) or Janet Goosney (jgoosney@mun.ca) of the 2018 NLLA Conference Program Committee. This year, the NLLA was excited to offer members the opportunity to apply for a Conference Bursary. The purpose of this fund is to help support recipients with the costs associated with attending the 2017 Annual Conference in St. John’s, May 8. 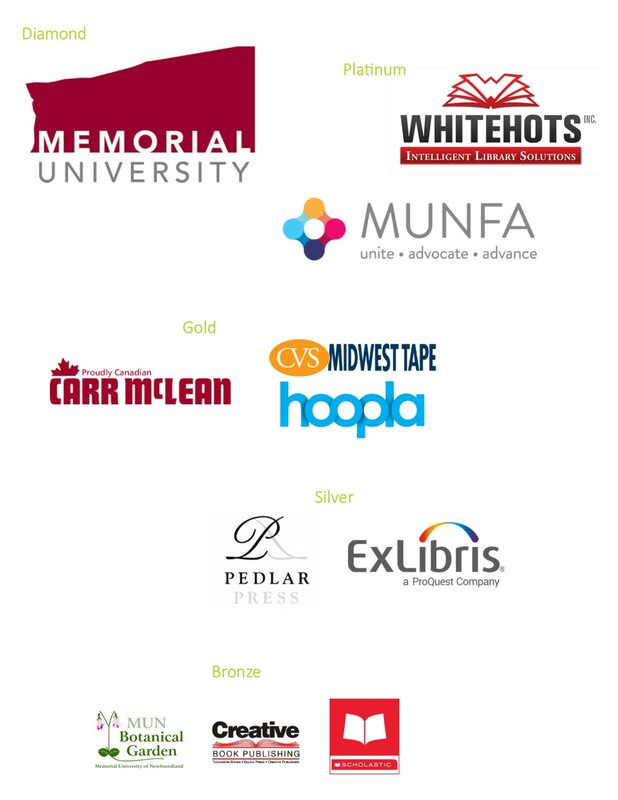 These awards were made possible thanks to the generous contributions of our sponsors. Posted in Annual Conference, Awards, Scholarships, Bursaries. Bookmark the permalink. A post-conference dinner at Merlo’s Inferno!